Most of the time parties are expected to be at cray locations in places you didn't even know existed but when it came down to making my daughters sweet sixteen happen I didn't have to look any further than a local hotel. 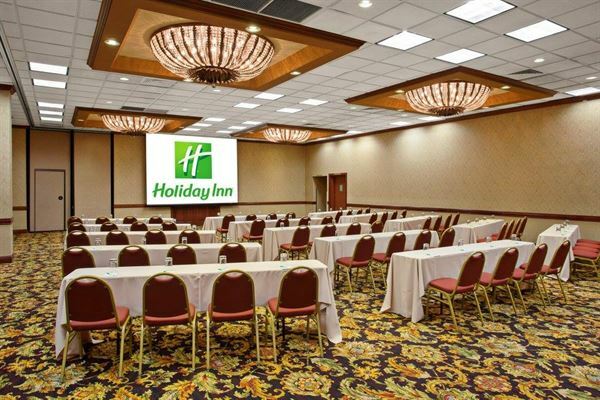 Of coarse I mean a local Holiday Inn I rented a fair sized room, a little bigger than a conference room but not a ballroom and everything worked out perfectly. When planning the Employees and management showed me nothing short of complete respect and kindness and they held that respect and kindness all the way through till the end of the party. You can choose to rent the room by the hour or you can pay a flat rental rate,( I chose the latter since I don't like telling people to leave) and let you decorate the room to your liking you can choose several other services that you have to pay for like cleanup, and service. The party turned out wonderful the service was very quick and responsive all the guests were shown the most respect and kindness and the whole thing didn't put a dent in my wallet and at the end of the day I don't think my little girl could have been happier.